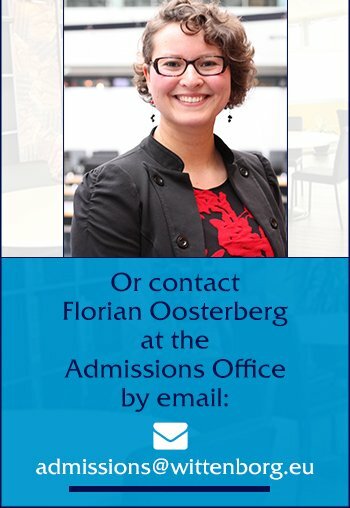 To stay informed at Wittenborg students and staff will be kept up to date of all news, events and study information through Wittenborg’s own information system online. All new news posts will be automatically mailed to all students and staff who have registered their profile on Intranet! Login is done by using the Wittenborg user name and password. Intranet can be accessed from school and from home, or anywhere in the world! All you have to do is log in! Wittenborg's E-Learning programme is designed for both in-house students and distance learning students. It means that whether students are in Apeldoorn or elsewhere, they can continue their studies, not missing important elements or assignments. The team at Wittenborg has years of experience in the development of e-learning systems, and relies on adapted open-source solutions for both its internet web-based applications as well as its network environment. This independent IT team works both for the institute as well as for businesses around the world, providing web-based, database and networking solutions for smaller and larger companies and organisations. Each course has its own part of intranet and is managed by teachers and a content manager. Teachers can lay out their courses in the formats provided and communicate with students through a whole range of techniques. The course material can be used as an addition to classroom work, as well as a fully functional distance learning module. Teachers and students can easily keep track of their grades, and can also see this shown in progress charts. The system also has glossaries such as dictionaries and encyclopaedias that are either module bound or system wide, depending on what the teacher making them requires. The system is drawn from a database, and is, therefore, easily searchable. Students are expected to enrol on their courses through intranet, and to keep up to date with changes in the curriculum through this means.